Deer standing in the foreground. 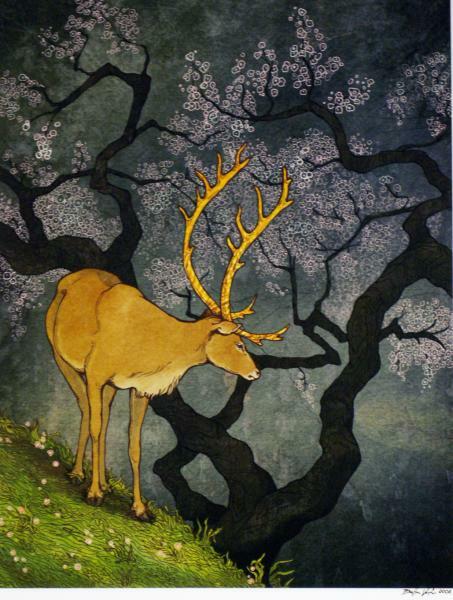 Large flowering tree behind the deer. Blue-green background. GVA; Tuscola; 3rd Floor; Right of Room #10 *may have a reproduction of this print in Box 93?